Find your new home in The Jockey Club, an active adult community in Oceanport NJ. The Jockey Club is a small, quiet upscale Active Adult community in Oceanport, NJ. Oceanport is a small town in Monmouth County located on the banks of the Shrewsbury River near Monmouth Beach and Long Branch. The Jockey Club is close to marinas, the ocean and beaches. It’s also close to shopping malls, theaters, libraries, museums, and Monmouth Park Racetrack. It’s also near the Garden State Parkway and NJ Transit train service. And exciting Pier Village in Long Branch is minutes away. The upscale homes in The Jockey Club are single family detached houses. There are seven different models featuring either 2 or 3 bedrooms. Also, they have either 2, 2.5 or 3 baths, and a two car garage is standard. Three of the designs are ranch homes, while the other two designs have a second floor. In all models, the master bedrooms are on the main level. Homes sizes range from 1,872 sq ft to over 3,200 sq ft. Construction in The Jockey Club began in 2007. There are just 44 homes, thus this is a small community. There is no more new construction available. therefore only resales are available at times. The monthly maintenance fee includes lawn maintenance and snow removal, as a result you don’t need to do these chores. The Jockey Club does not have a clubhouse. 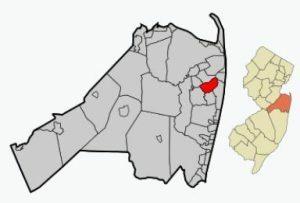 However, there are numerous public and private golf courses in Monmouth County. In fact, due to it’s location near the water, you can pursue boating and fishing easily. People who reside in active adult communities in Monmouth County may avail themselves of the county supplied transportation services. Two services are available. One is for medical transport to any medical facility within Monmouth County. You’ll need to make an advance reservation, but there is a small charge involved for this service. The county also supplies a shopping bus service. It will take people to shopping centers and supermarkets. This is a free service. Hint – tip the driver. Commuters love The Jockey Club because train service is within walking distance. Due to it’s location in Oceanport, it’s close to transportation, shopping, fine dining and of course, The Jersey Shore. Call today to see the active adult community homes for sale in The Jockey Club, Oceanport NJ.